Hello, can we help you find something? 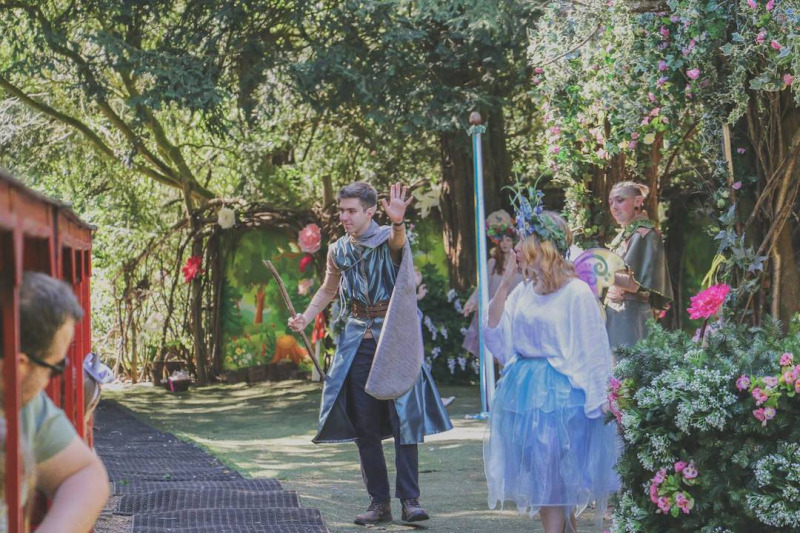 Dive into the magical land of our Enchanted Fairy and Elf Walk as it opens for the 2019 season on the 4th to 6th May! Whirl through the path ways to find all of the many tiny Fairies and Elves living in their handmade wooden tree houses. Make your own Fairy or Elf Wand with one of our own Fairies or Elves. You can then use this to tick off your I Spy Booklet as you wander through the walk! Take one of our Trains into the woods to meet the many Fairies frolicking through the trees. And after all this fun, you can still venture into our Craft Tent to create your own Fairy or Elf Craft to take home with you! Booking is required. Tickets will not be available to purchase on the day. This ticket will allow you to board onto a train within the Hourly Boarding Slot you have selected. For example if you select 10.00am, your boarding slot will be from 10.00am to 11.00am. We will endeavour to get you onto a train within that time slot however if any unforeseen circumstances were to occur we will get you onto the next available train. This ticket will allow you to board onto a train at the specific train time you have selected. We will endeavour to get you onto that time however if any unforeseen circumstances were to occur we will get you onto the next available train. I'm having trouble with my purchase! Tell me more about DigiTickets!